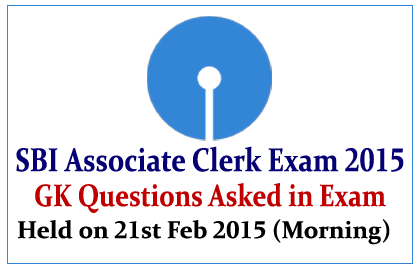 The List of General Awareness Questions asked in SBI Associate Clerk Held on 21st February 2015 (Morning Batch) with Answers was given below. Cricket World Cup 2019 was yet to be held at? Which is the tallest plunge waterfall in India? Who is the regulator of Mutual Funds? Chillika Lake is located at which state?